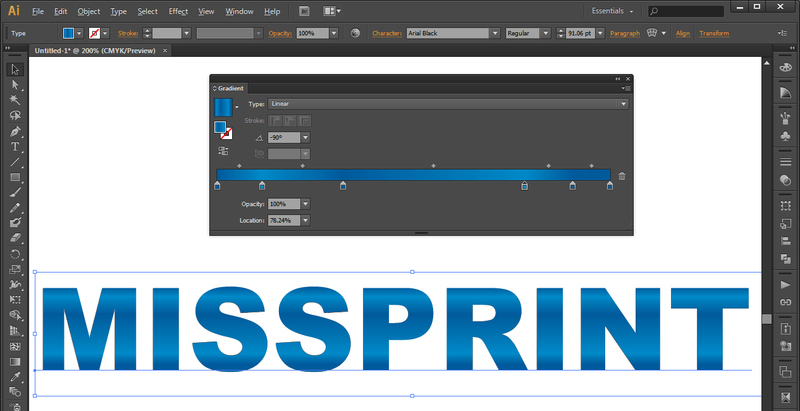 One question I get asked quite a bit in regards to Adobe Illustrator is how to do color fills in text other then solid. While this action should be intuitive, it is not. 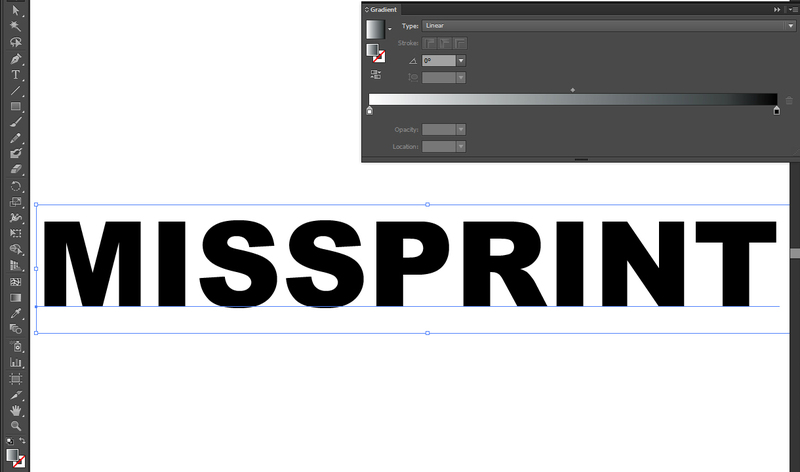 Let’s start with typing some text in Illustrator and attempting to give it a gradient fill. So we have selected our text and attempted to give it a gradient fill through the normal gradient panel, if you do not see your gradient dialog it is accessible via Window>Gradient. While the text will continue to show the gradient in the fill display you can clearly see that this is not the case. One workaround would be to convert all the text to an outline however this is not optimal for doing revisions later on. The answer we seek is actually in the Appearance panel. 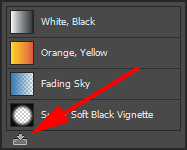 Before we access the Appearance panel lets set up our gradient to use as the fill. Once you have a gradient you would like click on the gradient menu and add it to the swatches. Now that our gradient is in our swatches we can proceed to use the appearance dialog to apply this to our text. 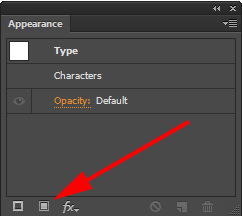 To access the Appearance panel select Window>Appearance . Now with our text selected we will add a new fill. 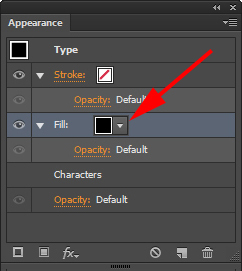 Then use the fill menu within the Appearance panel to select the gradient we made earlier. Now would be a good time to bring back the gradient panel and adjust the fill to suit your needs. 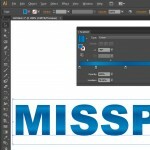 the Appearance panel can give you a few other nice tricks with not only text but regular shapes as well. This will be explored further in a later post.